M-28 Monitor ship has been completed in 28th of june 1915 by Raylton Dixon. 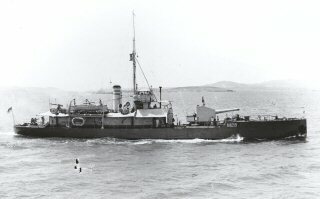 She was an M15 class monitor ship. She weighted 540 tons. She had one 9,2 inches gun. She worked in the bombardment of Dedeagatch, Bulgaria in 21st of October 1915. In 20th of January 1918, The Turkish warship Yavuz Sultan Selim (Goeben) and cruvazor Midilli (Breslau) had left the Dardanelles and attacked to the allied ships acting as barricade ships near Gokce island. They managed to sunk HMS Raglan and HMS M-28 ships with their machine guns. 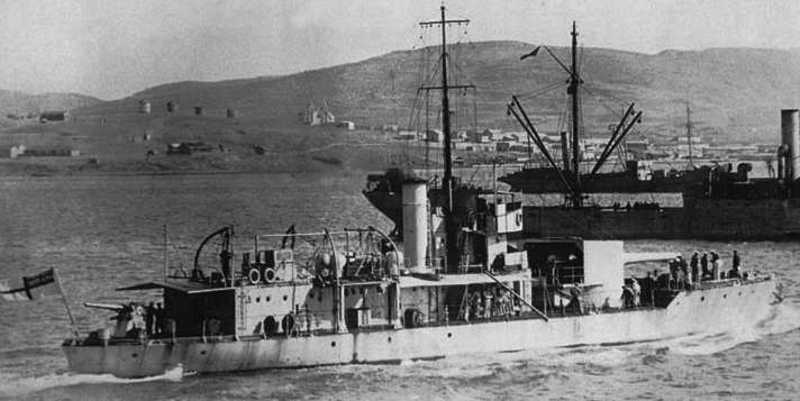 These two monitor ships had been used in the bombardment of the Turkish Shore Defences. They sunked in the Kusu bay, Gokce island.